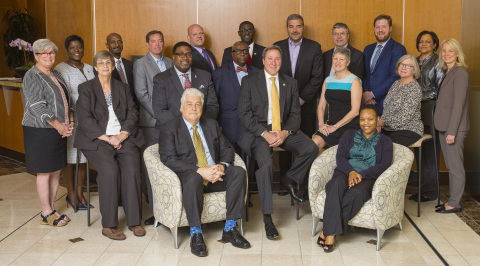 Fifth Third Bancorp convened the inaugural meeting of its newly-formed national Community Advisory Forum (CAF) on May 12. Fifth Third Bancorp convened the inaugural meeting of its newly-formed national Community Advisory Forum (CAF) on May 12. Later this month, Fifth Third will convene five regional community advisory forums in Florida, Illinois, Michigan, North Carolina and Ohio. The convening of the Community Advisory Forums, or CAFs, fulfills a key promise made in Fifth Third's $30 billion community commitment. The five-year plan is designed to make a long-lasting positive impact in the lives of individuals within communities served by Fifth Third, particularly those in low- and moderate-income neighborhoods. The commitment includes mortgage lending, small business lending, micro-lending, community development lending and investments, as well as Fifth Third Impact Initiatives, including philanthropy, financial empowerment programming, branches and staffing, and inclusion and diversity. Fifth Third invested $7.88 billion, or 26.3 percent, of the commitment in 2016, as announced in its first-year results report. Fifth Third's national CAF is chaired by Fifth Third Bancorp Executive Vice President Brian Lamb. It has 18 members who will meet three times per year. The first meeting was held in the Bank's headquarters city of Cincinnati, Ohio. The five regional CAFs consist of 75 community leaders and meet twice per year. They are chaired by Fifth Third's regional community and economic development managers. The CAFs continue a long-standing tradition of Fifth Third's engagement with community leadership. Over the course of 2016, Fifth Third leadership held 154 community engagement sessions, with the majority of those conducted with organizations affiliated with the National Community Reinvestment Coalition. "Convening our community advisory forums is a strategic part of how Fifth Third is keeping the customer at the center of everything we do," said Lamb. "The members of our national and regional forums represent our 10 Consumer Bank states and their work in our communities will help guide our actions to ensure we are best meeting their needs." Lamb continued, "When we made our $30 billion community commitment, we pledged to assemble advisory forums and work with community leadership to affect positive change. Fulfilling this pledge brings together a national CAF with a combined 470 years of experience in community development. We are poised to accomplish great things together." Dory Rand, president of Woodstock Institute, a financial justice research and policy nonprofit based in Chicago, said, "I am excited to participate in Fifth Third's national Community Advisory Forum because their $30 billion community commitment, which Woodstock and the National Community Reinvestment Coalition helped develop, will result in significant investments in and benefits to underserved low- and moderate-income communities, including new branches and increased small business lending. All of this will help create jobs and provide needed community amenities." More information about the Community Commitment is available in the Company's 2016 Corporate Social Responsibility Report and at www.53.com/commitment.